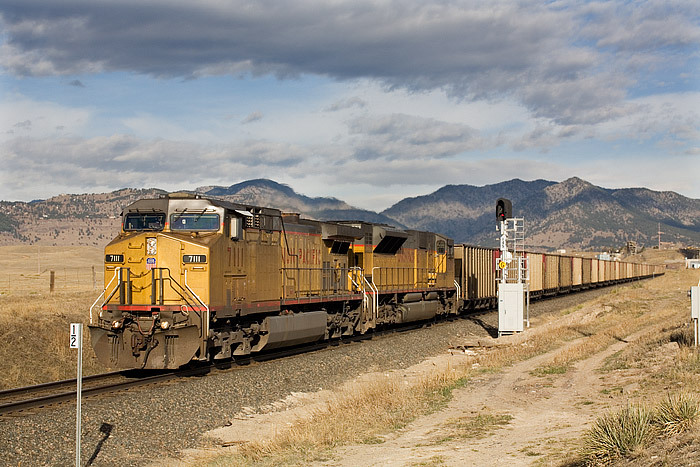 A Union Pacific train loaded with western Colorado coal heads eastbound at Leyden. While still headed downgrade towards Denver, the train has navigated the majority of the difficult grade from the Moffat tunnel through the Front Range. Photo © copyright by Thomas Mangan.